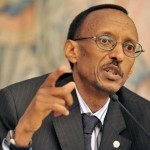 Rwandan President Paul Kagame has spoken to the World Economic Forum (WEF), making a speech to the congregated global participants yesterday, as Rwanda takes a leap up the rankings on the recent WEF global competitiveness index report to 63rd, out of 140 countries spanning the world. The report also assessed Rwanda to be the 3rd most competitive country in Sub-Saharan Africa, and placed the country in the top spot at number 1 for the East Africa region. The WEF is currently hosting its sixth Annual Meeting of the New Champions in Tianjin, a port city in northern China. The forum will last for three days, and this year carries the theme of “Creating the Future Economy”. Over 2,000 participants from 86 countries are in attendance this year. Speaking to the participants, President Kagame encouraged all developing economies to put in hard work and effort, in order to achieve targeted growth – hard work being the only way to achieve results, he told the congregation. He spoke of Africa’s power to become a real player in the global economy, stating that many African countries have the potential to become real economic heavyweights, should the required work be put in to growing the various national and regional economies.